London- European Union foreign ministers, following a closed-door meeting on Monday, appealed to the United States Congress to maintain the nuclear deal with Iran and avoid a return to the sanctions option, stressing EU’s commitment to maintaining the agreement on the Iranian program after US President Donald Trump on Friday decided not to certify it. Also on Monday, Britain and France said they were firmly committed to the 2005 nuclear deal with Iran and would work to ensure its implementation. “Prime Minister May and President Macron agreed to continue close cooperation to ensure proper compliance with the deal and to prevent Iran’s destabilizing activities in the region, including its ballistic missile program,” the statement added. The announcement follows a telephone call between May and German Chancellor Angela Merkel, who both underlined the need to maintain the Iranian nuclear deal. EU’s Foreign Policy Chief Federica Mogherini chaired the closed-door talks on Monday which discussed how the EU countries would deal with Trump’s threats to the nuclear agreement. The ministers are also scheduled to review the means to tackle Iran’s missile program and its regional role. 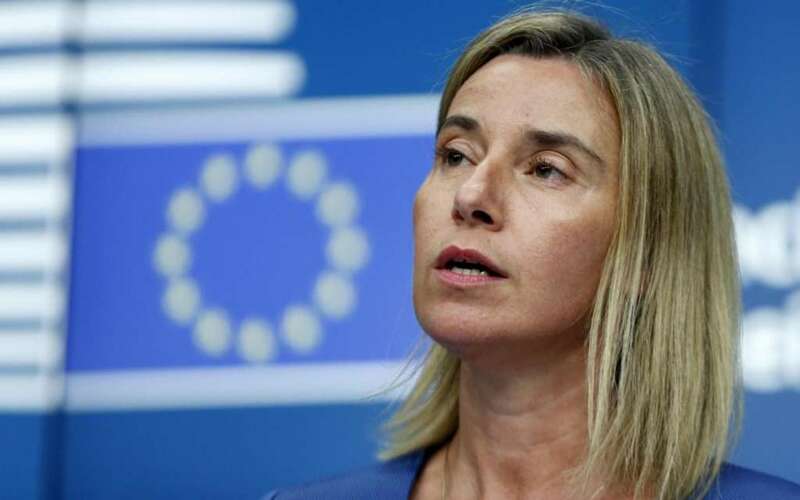 “This agreement is necessary for the security of the region,” Mogherini said, without elaborating on the role the EU could play in countering Iran’s regional activities. In a joint statement, Paris, London and Berlin expressed concern about the “repercussions on the security of the United States and its allies” that would result from the actions demanded by Trump. French Foreign Minister Jean-Yves Le Drian said the EU needed to put real pressure on the US Congress. “We hope that Congress will not call this agreement into question because … non-proliferation [of nuclear weapons] is a major element of global security,” he said. German Foreign Affairs Minister Sigmar Gabriel warned that threats from the US president to pull out from the Iran nuclear accord could provoke military confrontation. “As Europeans together, we are very worried that the decision of the US President could lead us back into military confrontation with Iran,” Gabriel told reporters ahead of the meeting with his European counterparts.